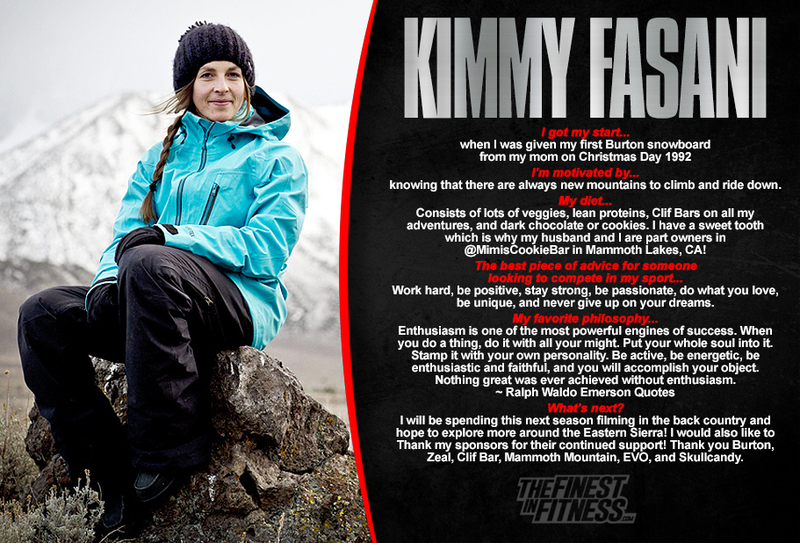 Kimmy Fasani continues to break barriers in the world of female snowboarding, and for female athletes everywhere. Her passion for her sport and her drive to support and uplift women to be anything they want to be is evident in everything she does. Kimmy walks the walk to back-up her professional career, proving she can overcome anything, again and again. Kimmy isn’t just ‘one tough girl,’ she’s an inspiration to athletes everywhere!